The Hall of Fame focus for the Classic will specifically honor players who played for the Barons, the A’s and the Black Barons. Among the Hall of Fame players to come through the Baron system include Harold “Pie” Traynor (1948), Burleigh Grimes (1964), Rube Marquard (1971) and Frank Thomas (2013). During his 18-year baseball career, he pitched for the Oakland Athletics (1968–76), San Diego Padres (1977–80) and Milwaukee Brewers (1981–85). He became only the second reliever to be elected to the National Baseball Hall of Fame in 1992. Fingers is also one of only a few MLB players to have his number retired by more than one club (Oakland Athletics and Milwaukee Brewers). In addition to his pitching ability, he was noted for his waxed handlebar moustache which he originally grew to get a $300 bonus from Athletics owner Charles O. Finley. Fingers is one of only eight players who have had their numbers retired from more than one team. In 1992 he was inducted into the Baseball Hall of Fame. 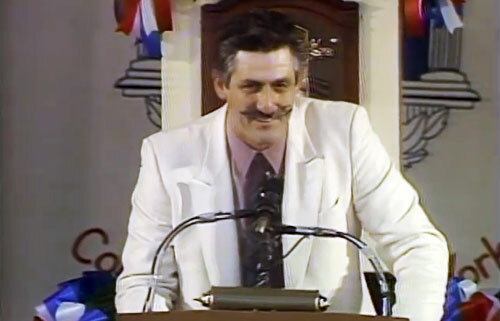 Rollie Fingers is a popular motivational speaker and keynote speaker. For booking Rollie Fingers as your next speaker or to book Rollie Fingers for an appearance or endorsement, contact Sports Speakers 360.